Find out what’s on in Somerset this June with our round up of everything from family-friendly festivals to night time walks, country shows and picnics. The Royal Bath and West Show is one of the biggest events in Somerset’s agricultural social calendar. With everything from award winning livestock and over 1,000 horses, to art exhibitions and the British Cider Championships – not to mention plenty of food and craft stalls – this event is not to be missed. From bug bingo to mucky art, kids can prepare to get wild on this great day out at Fyne Court near Bridgwater. There is no need to book, just pop in and get stuck in with the fun! 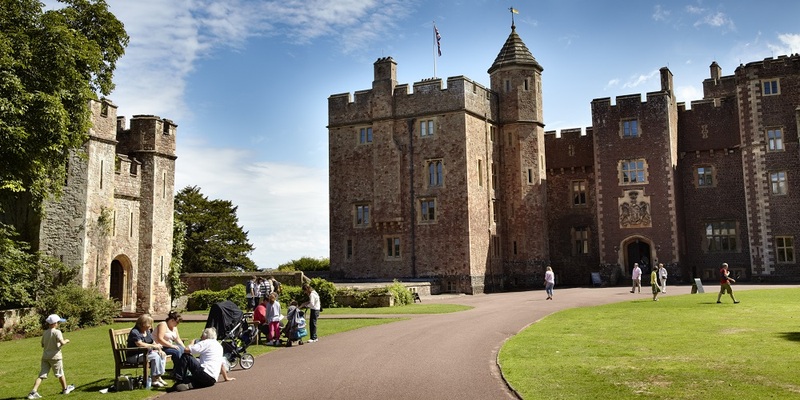 The Victorian Hawk House at the legendary Dunster Castle is home to a variety of hawks, owls and falcons. On this special weekend, you’ll be able to get up close and personal with the birds and resident working dog, Bella, pus see the falconers all dressed up for the occasion in Victorian fancy dress. In honour of the Queen’s 90th birthday, Bishops Palace in Wells is putting on a festival full of talks, stalls, hands-on demonstrations, refreshments and entertainment. There will also be a chance to talk to top gardening personalities such as Roy Lancaster and Clare Greenslade for some new ideas on how to use and love your garden. Another event to celebrate the Queen’s birthday, Glastonbury Abbey is hosting a family fun day including activities and face painting. There will also be local live music and a bar to help get the party started for the grown ups! Entry to the Abbey will also be free from 4pm-8pm. If you’re still not finished celebrating the Queen’s big day, Merriman Park is hosting a communal picnic in honour of the special day. There will also be a bear hunt and bear parade for small children, so bring your teddies! You may have been to Tyntesfield before, but have you been at night? Discover the 540 acre estate’s fascinating nocturnal wildlife on a guided bat walk with National Trust ranger Darren. You’ll need to bring a torch and warm clothing, but you can look forward to hot chocolate and cookies at the end. For one day only, Taunton will be transformed by the annual Somerfest celebrations, with all sorts of activities and fun things for visitors to see and do. There will be performances from musicians and acrobats, as well as a bustling market, and Goodland Gardens will even be transformed into a small sandy beach! This free festival showcases an exciting array of airborne vehicles, from vintage bi-planes to classic helicopters, plus displays from the likes of the RAF Red Arrows and the Breitling Wing Walking Team. There will also be a thrilling 220ft zip wire (not for the faint hearted! ), inflatables and stalls selling local produce and crafts. Get back to nature at the RSPB Ham Wall site and learn all there is to know about creepy crawlies. Great fun for kids, they’ll be able to collect and spot bugs as well as have a fun day outdoors. We’re always interested to hear what’s on in Somerset, so do let us know of any upcoming local events. If you’d like to go to any of these events and need a place to stay, check out our great range of holidays in Somerset.